Physics is the scientific study of natural phenomena such as gravitation, electricity, magnetism and the nature of matter. The heart of physics is the effort to understand and predict what happens in nature, using reasoning inspired and tested by experiment. As an Agnes Scott physics student, you’ll acquire a general, flexible physics foundation in a collaborative, engaging and active learning environment. We offer three different majors in this department. This includes physics, astrophysics, and math-physics. The math-physics major was created in collaboration with the math department at Agnes Scott. Students pursuing the dual degree programs in engineering and computer science take classes in our department and many choose to major in math-physics due to its flexibility and overlap with the dual-degree requirements. In this program, you’ll develop problem-solving and critical-thinking skills in the classroom and laboratory. Courses cover the theory of motion, waves, electromagnetism, thermal phenomena, quantum physics, relativity, electronics, programming, and methods of experimentation. Why should I study physics at Agnes Scott? The departmental faculty, students, and Agnes Scott community members participate in a variety of activities during the year. Yearly events include a booth at the Atlanta Maker Faire, an Egg Drop, presenting at the Atlanta Science Expo, and launching model rockets. The department has movie nights in the observatory and dinners at faculty member's houses. 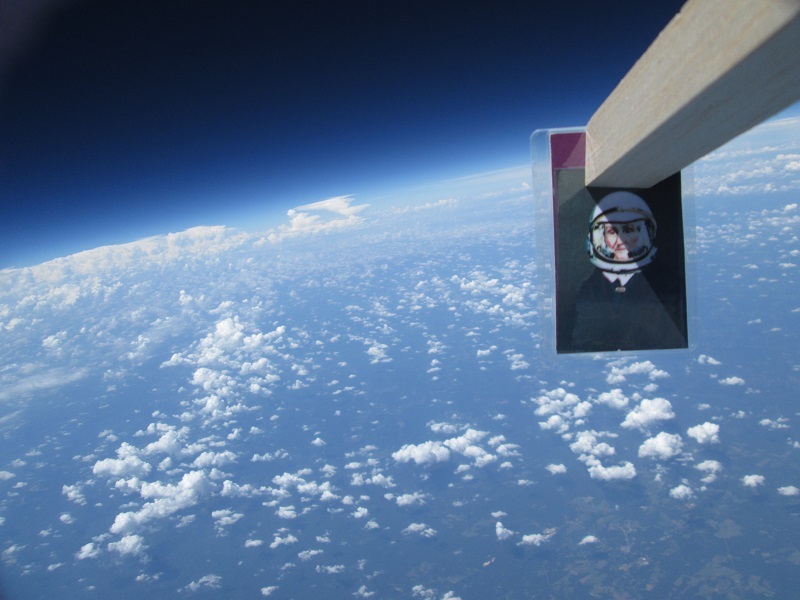 We periodically pursue larger projects, such as the 2014 launch of a weather balloon to 90,000 feet. The 110,000-square-foot Mary Brown Bullock Science Center, with 65,000 square feet of teaching and lab space, is home to the physics, biology, chemistry and psychology departments. The building features extensive, modern instrumentation, faculty-student research laboratories, independent student-project laboratories and long-term observation areas. Full-time and part-time professors teach all physics labs, and all students have the opportunity for hands-on research and experimentation. You’ll have access to Agnes Scott’s uniquely-designed Bradley Observatory and Delafield Planetarium, home to the astronomy department. You’ll also regularly make remote observations with telescopes in Arizona, Chile, and the Canary Islands through Agnes Scott’s membership in the Southeastern Association for Research in Astronomy (SARA) consortium. At Agnes Scott, learning happens outside the classroom too. You can join the Society of Physics Students, which holds events and activities promoting physics to the campus and general public. For more possibilities, visit the SPS Careers Toolbox of the Society of Physics Students site.